If you are already booked with us, or need to make a booking within the next 24-48 hours ONLY call 0408 616-115. For all other bookings or quotes please call during office hours. Feel free to use our Facebook page to get a quote outside hours. With a fleet ranging from Minibus Buses all the way up to 57 seat coaches, we have all your mini bus and coach needs covered. There are many factors deciding which company to hire when you need transportation. We pride ourselves in the quality of our service, for the care, comfort and safety of our passengers, as well as offering competitive pricing. We offer a professional and personalised airport and cruise shuttle and charter service, designed to suit your needs and times. Servicing Penrith, Blue Mountains, The Hawkesbury & Western Sydney. 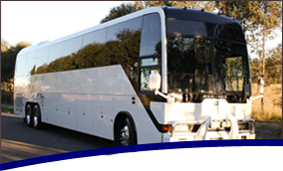 Penrith Mini Bus Services have been offering Western Sydney, professional friendly service since 1984. Our drivers are experienced, trained, fully authorised and more than happy to help in any way they can, to make your trip and experience with us an enjoyable one. We can take you to any destination of your choice 24hrs a day, 7 days a week. All our drivers are there to help in any way they can, to make your journey with us an enjoyable one. We only have another pick up on the same bus as long as they are online with the first. We do not do 4,5 or even 6 pick ups or drop off’s on the one bus and drag you all over the place like some companies. We offer a more personalised service to our customers. Not many airport shuttle companies can boast about that.